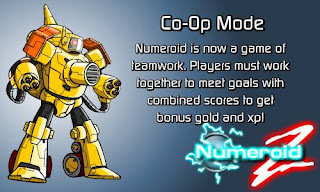 Numeroid Z is now a cooperative game! Team up with friends and fight for goals based on combined scores to gain more gold and xp! Check out the forum for more details or jump right in and start playing!